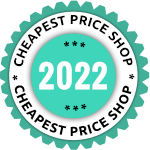 We’re working hard to make sure our prices are the best around, but if you find another site that offers a lower price for the same product, let us know and we will match the price and also add the additional discount on advertised price. If you’ve already purchased SSL certificate from us and find lower price anywhere within 30 days, let us know and we will return the difference. What you’re waiting for… Shop with confidence! We try our best to keep our SSL and other products in range, updated and that too at very affordable prices. Being customer satisfaction our main motto we withstand our products for 30 days by offering the opportunity of the refund. Order once placed by the customers can be cancelled within 30 days with 100% cash back offer. Am I charged for cancelling the order? Nope. We definitely respect the decision as well as desire of our customers here at Cheap SSL Shop. Any order can be cancelled within 30 days without the need of spending any penny. Do I get back my money 100%? Yes. We believe in transparency of the business. 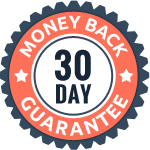 As soon as the order is cancelled you will get your 100% money back, provided it should be done within the 30 days where order date will be counted as the initial date. First of all please login into your SSL account with your User ID and password which Cheap SSL Shop provided you at the time of sign up. Search for the order number you need to cancel and click on it once you find it. You will land on the page showing the full details of your number. Scroll down the page and from the action menu select Cancel and click the Go button. You will get an e-mail confirming the cancellation details. As soon as your cancellation is approved you will get your refund. Note: Once you have cancelled an order of the SSL certificate, you are no more liable to use it and you are requested to uninstall it as soon as possible. Is there any other alternative for cancellation process? Yes, of course there is. For this you need to send a cancellation request in an e-mail to billing[at]cheapsslshop.com. Please note that along with the cancellation request you have to attach a copy of the invoice which you must have received at the time of purchase. If you face any issue or have any query regarding the cancellation process then you can ask for help at (contact details). Each SSL purchase from cheapsslshop.com carries a 30 day money back guarantee. If you are not completely satisfied with our services or product within the refund time period specified for your plan, you will be given a full refund of the SSL certificate cost. How to request purchase cancellation and refund? You can request cancellation from your SSL center account. Follow the below steps and cancellation request will be submitted to Billing Department. Login Account > Dashboard > Order Summary > Click ORDER# > Request Cancellation. Note: It should take 24 to 72 hours to process cancellation and refund.